Becoming a member of BROOD gives you a voice in rescue. Membership also affords you voting privileges at our annual membership meeting and an invitation to our members-only picnic in July. 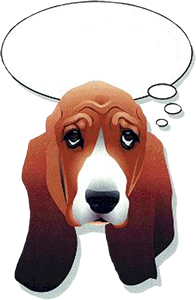 Our informative BROOD Newsletter is emailed three times a week to members; it features useful articles about basset health, behavior and care. BROOD's membership year is the same as the calendar year, January 1 to December 31. Annual membership is $20 per person. Plus now your dog can become a BROOD Ambassador too! Sorry but all membership fees are non-refundable. Current Membership Renewal - Your dues are due on January 1, and must be paid no later than the date of the annual meeting in order to be eligible to vote at the annual meeting. Details about the membership meeting are posted on our calendar prior to the meeting. Regardless of whether you are a New Member or a Renewing Member, please complete and submit the Membership Application Form below. If you have any questions about joining BROOD, please contact the BEFORE you submit the Membership Application Form.